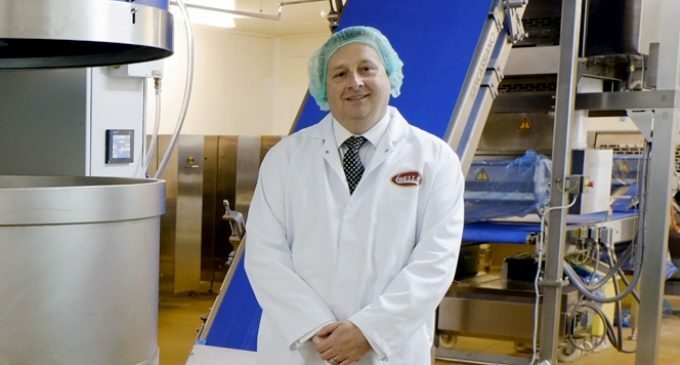 Scotland’s leading pastry and pie manufacturer, Bells Food Group, has completed the first part of a three-year £3.6 million investment which doubles pastry production capacity at its Shotts-based factory. The business currently produces 60 tonnes of pastry per week. The first phase of £2.1 million investment is now complete, which extends capacity to 140 tonnes and sees the creation of 25 additional jobs. The new equipment, including a pastry laminator and spiral freezer, will enable the company to compete for high volume commercial pastry requirements across the UK and Ireland, with the export market also in its sights. Bells Food Group is Scotland’s largest producer of professional quality pastry and offers a diverse range of puff and shortcrust pastry bases, lids, blocks, rolls and lattice cut shapes for the wholesale and retail market. The pastry is manufactured using the traditional Scotch Method or French Method and the Butter Enriched pastry is a best-seller. The latest investment is part of a wider brand development programme, new product innovations and stylish new packaging across its popular pie portfolio, to emphasise the quality of the product range and improve stand out on shelf.